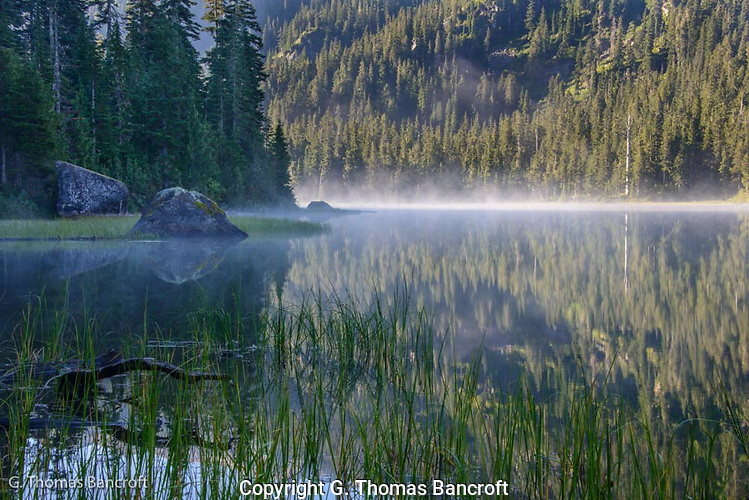 Lake Dorothy sits on the north side of Alpine Lakes Wilderness. The lake, over a mile long, runs north south. A glacier carved the valley and created the lake during the last glaciation. You reach the trailhead from road over Steven Pass by heading up the East Fork Miller River. 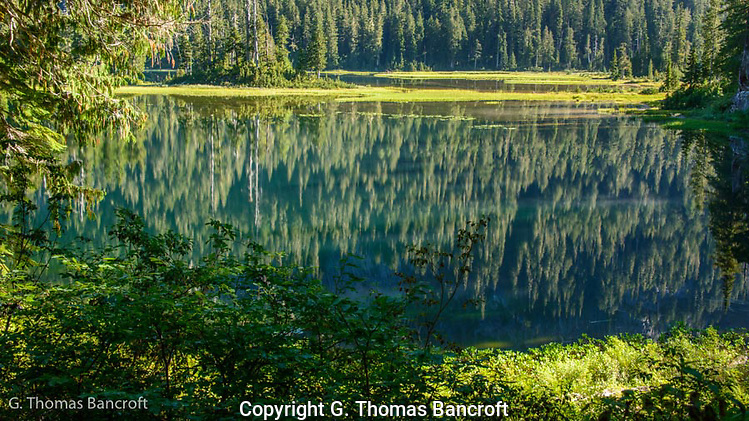 The hike immediately enters a forest dominated with western hemlocks and silver firs. Half way to Lake Dorothy, the trail crossed Camp Robber Creek, which drains a valley east of the lake. Water tumbled down a series of smooth rocks and under a footbridge. 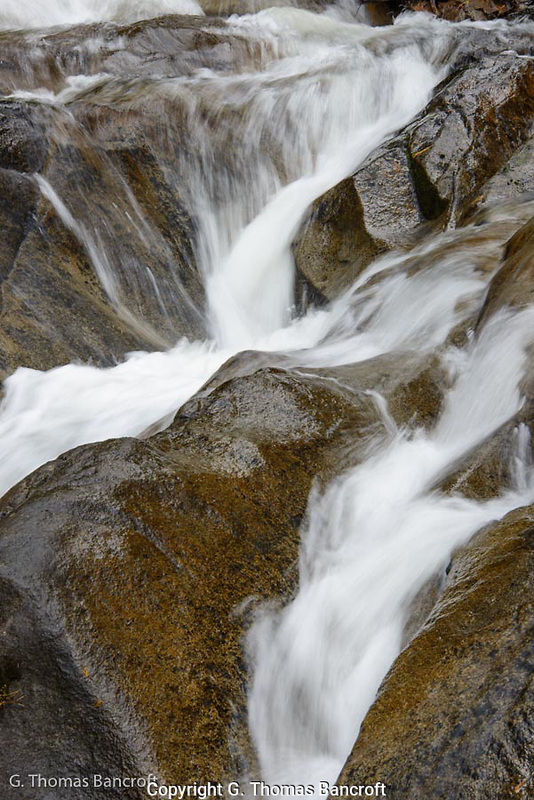 For a long time I watched the water cascade down the rocks, dividing and coming back together around outcrops. The rushing water drowned out all other sounds and the scene mesmerized me. Just below the bridge a second creek joined this one through another cascade. Standing on this bridge was worth the trip in itself. The trail wound along the east side of Lake Dorothy and hugged the valley wall a few hundred feet above the lake. Many open areas allowed clear views of the lake. Scattered clouds reflected perfectly in the calm lake and the ripples in the water caused constant fluctuations in the shape of the clouds. Ripe blueberries and huckleberries hung from bushes in the understory. Red bunchberries gave some nice color to the understory. The trail weaved around many large boulders, some the size of small dump trucks. Moss and clubmoss covered boulders in the shade and I found ferns growing in cracks in rocks. In one place, the leaf litter seemed to suddenly begin moving. 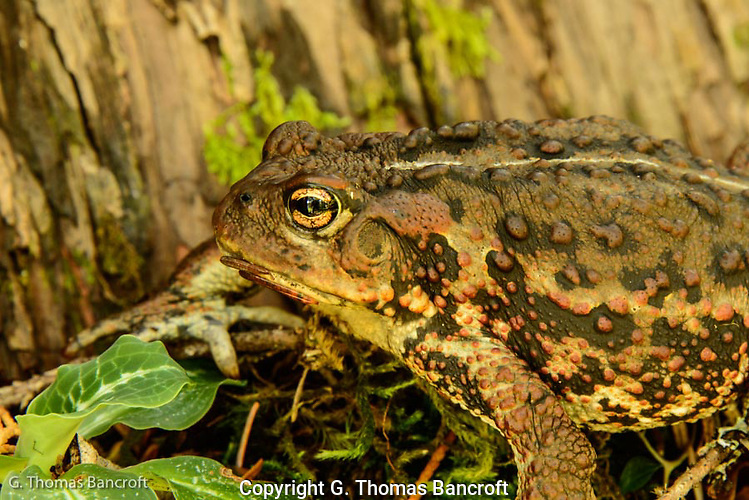 I crept forward and discovered a large western toad attempting to hide beside a large stump. This toad was 4, maybe 5 inches long. The light strip down its back and patches of orange skin along its sides gave a gorgeous coloration to this magnificent animal. The clouds began to clear as the sun went down. I thought that the north-south orientation of Lake Dorothy might make a reflection of the Milky Way possible. Just below where I camped I found a rock ledge that extended out into lake. 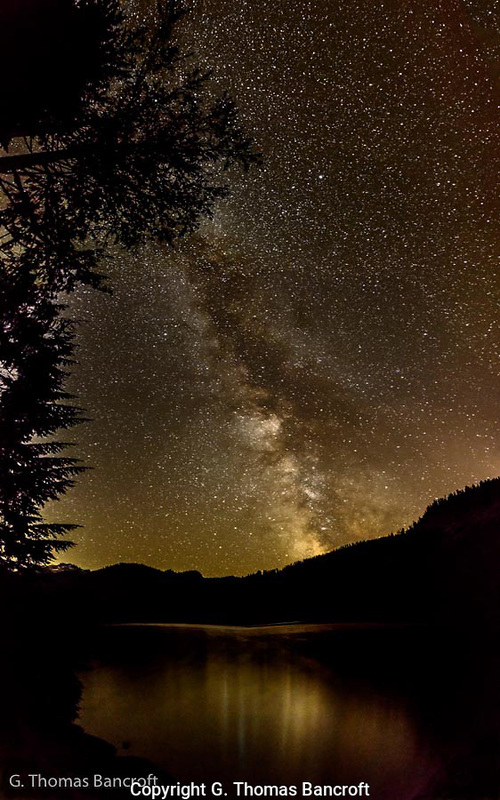 I went down to the lake at 10PM and discovered the stars were spectacular. A light breeze caused ripples across the lake disrupting the reflection but the stars were just amazing to see. The Milky Way was brilliant and right overhead and spreading south. In the morning, thick mist drifted north across the lake making the lake look magical. Some mist tails looked like tentacles as they rose several hundred feet into the air, twisting and undulating as they drifted across the lake. When the mist cleared, the eastern end of the lake was as flat at a mirror, making some incredible reflections. What a wonderful way to finish a day in the wilderness.